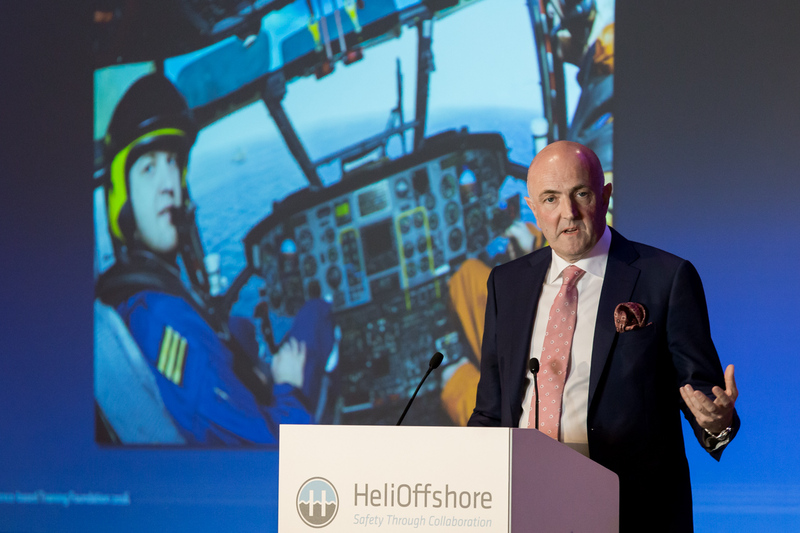 The offshore helicopter safety association, HeliOffshore, has launched a new ‘Safety Performance Model’ and Safety Strategy for the industry. These were agreed at its second conference and AGM in Prague, 13-15 May 2016. 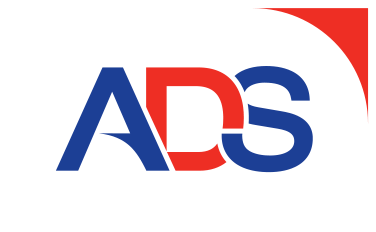 They are the basis for both an on-going root and branch review of safety in the sector and collaborative safety improvement. 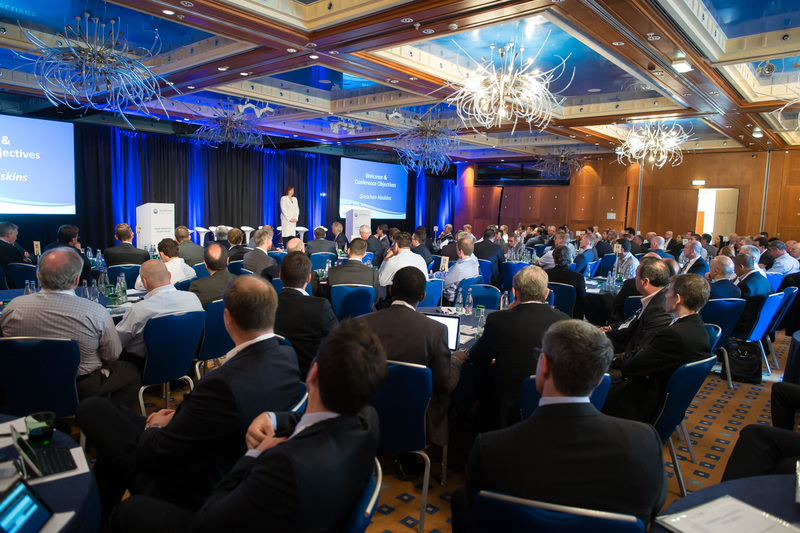 The HeliOffshore conference was attended by 180 leaders from operators, helicopter manufacturers, oil and gas companies, regulators, suppliers and service providers (including Aerossurance). 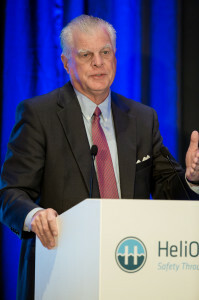 In her opening remarks HeliOffshore CEO Gretchin Haskins quoted President John F Kennedy: “The problems of the world cannot possibly be solved by skeptics or cynics whose horizons are limited by the obvious realities“, and how he went on to say we need people with vision “who can dream of things that never were and ask “why not?”“. Our aim is that no lives are lost due to offshore helicopter transport. 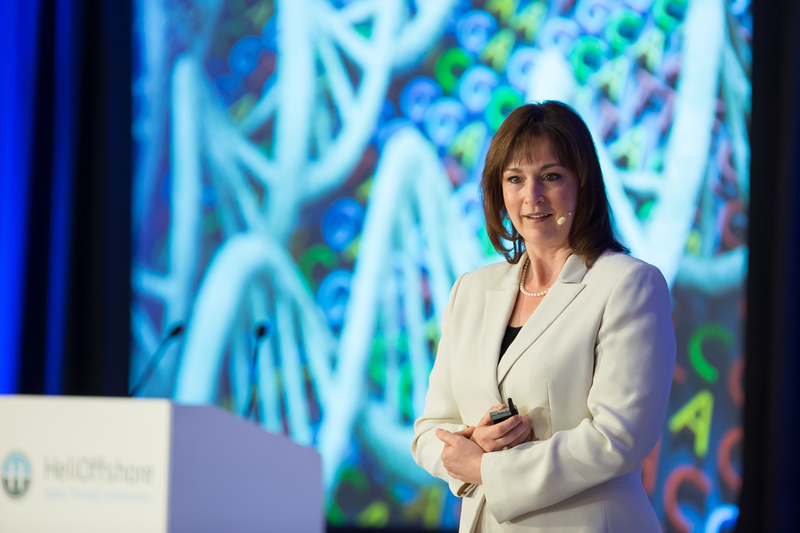 Agreements at this conference – and work already underway to share information and expertise across the industry – will help to achieve that. Although “in retrospect, every accident is preventable” she admits “if it was easy, it would have been done already”. The key, she says, is to build “system resilience” and “increased survivability” in case of an equipment malfunction. The entire industry – from OEMs, to operators, to oil and gas customers – must also work proactively to increase safety, she says. As part of the introduction a video message from BP‘s Chief Executive Upstream Bernard Looney discussing the 2009 G-REDU and G-REDL accidents and the critical importance of safety to the oil and gas industry. He then then introduced pilots and engineers from HeliOffshore operators worldwide, who are collaborating on safety for their vital perspective: https://www.youtube.com/watch?feature=player_detailpage&v=G60td-ZEpkI In addition to Commitment and Collaboration, HeliOffshore’s Operations Director Francois Lassale, mentioned another key component: Courage. Bill Chiles, Chairman of the HeliOffshore Board, reflected that he had always seen HeliOffshore as being engaged in a long term marathon, but that recent events show that the industry and its stakeholders must accelerate to a sprint. Members have adopted a plan to undertake a fundamental review that will enhance the reliability and resilience of the offshore fleet and the systems that support it – both human and machine. 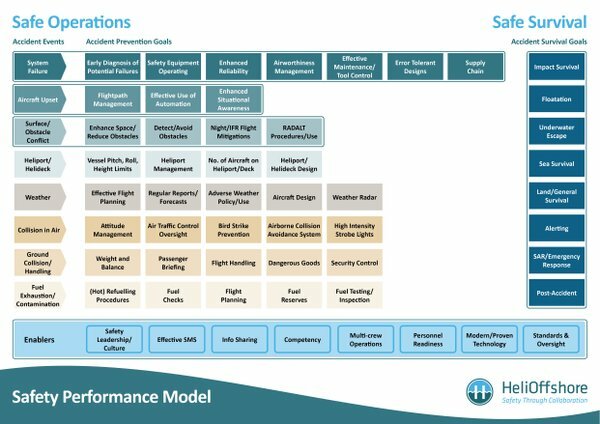 The Safety Performance Model, inspired by the Flight Safety Foundation (FSF) Basic Aviation Risk Standard for Offshore Helicopter Operations (BARS OHO) bow-tie presented at the 2015 conference (which we discussed last year). The prioritisation has been influenced by the EASA Safety Risk Portfolio for Offshore Helicopters. UPDATE 1 February 2017: BARSOHO Version 3, fully aligned with the HeliOffshore SPM, is issued and available. Focus resources in the areas that will make the greatest difference to safety performance. Show that the combination of solutions (e.g. design, training, procedures, etc.) achieve the desired operational outcomes. Adopt implementation of solutions which enhance safety performance. 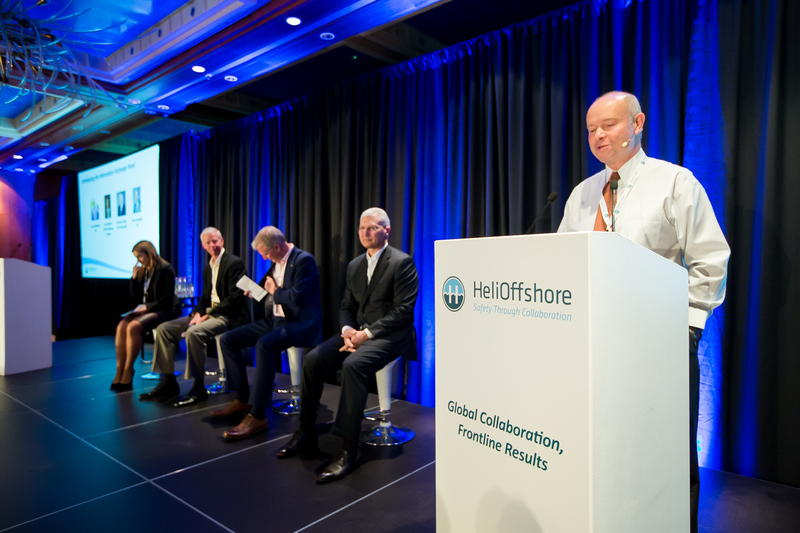 It was noticeable that the HeliOffshore safety strategy that was agreed was introduced by a joint presentation by HeliOffshore, IOGP and EASA. The HeliOffshore strategy is to be included in the next revision of the EASA European Plan for Aviation Safety (EPAS). This was followed by a panel discussion. We are focused on improving the reliability and resilience of systems, increasing operational effectiveness, and ensuring that the right safety enablers are in place. Those enablers include sharing safety expertise industry-wide, so that all of those who work within and rely on offshore flight are benefiting from our best knowledge. Information sharing (discussed on the second day) and collaboration are at the heart of HeliOffshore’s initiatives. 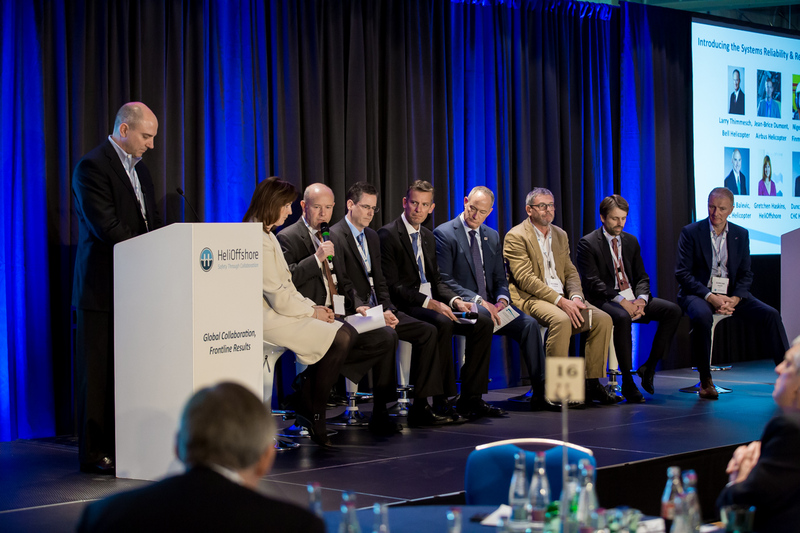 David Balevic, CHC’s SVP Engineering and Operations, lead a panel discussion on aircraft System Reliability and Resilience with representatives of helicopter operators, manufacturers, regulators and oil and gas companies. Among the themes was the value of collaboration and data sharing so manufacturers can better understand how their products are being used, which in turn lead to comments about ‘big data’, human centred design, eliminating single point failures and searching out vulnerabilities. There was a philosophical debate on how improvements should ideally be retrofitable to benefit the in-service fleet, but that some safety innovations can only be integrated into new designs. One panellist commented that oil companies too often drive unnecessary cost by unnecessary differences in their requirements and another that regulators must speak with a single voice. 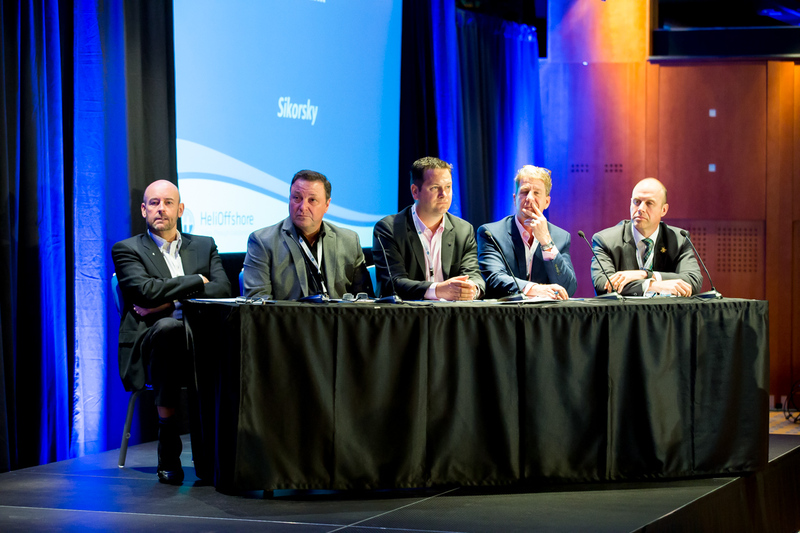 During the second day of the conference Sikorsky hosted a ‘Shark Tank’ (aka ‘Dragons Den’) session where 5 innovations were pitched to a panel of ‘potential investors’ from PHI, Hess, Statoil, HeliOffshore and Cougar (and to the audience who were able to vote online). As well as being a show case for the 5 innovations this session stimulated a thoughtful debate on whether innovation is more important on the left hand side of the bow-tie (i.e. keeping aircraft safe) or the right hand side (i.e. survival and rescue) and whether the priority should be instantly fieldable mitigations or deep systemic improvements. Continuing this interactive theme, Bell Helicopter hosted a question and answer session where both the audience and a panel of experts from HNZ, Bristow and PHI voted on a series of technology and safety questions. On survivability, the results of a HeliOffshore survey across operators were briefed. This showed a (perhaps) surprisingly high take-up on Emergency Breathing Systems (EBS) for passengers and crew. While over half of operations have put in place seas state restrictions, two thirds of operators believed it was an area that needs further research. Bristow’s Jonathan Baliff opened this discussion by noting that Bristow’s Target Zero initiative was aspirational and unobtainable, but in practice the company had been able to achieve sustained period without air accidents. But how do you know you aren’t just lucky? He proposed three actions: Baliff went on to introduce to introduce a discussion on improving Helicopter Terrain Awareness & Warning Systems for offshore helicopters (which we will discuss further next week), that resulted in a major collaborative commitment to a tight implementation timeline. Captain Mike Varney, President of the EBT Foundation, gave a thought provoking presentation on Evidence Based Training (EBT). Bristow’s Captain Tim Rolfe on helicopter technology and HeliOffshore’s recent eye-tracking / pilot monitoring research conducted by Dr Steve Jarvis. There was also feedback on a survey of operators on the implementation of Flight Crew Operations Manuals (FCOMs) based on the experience with the first Airbus Helicopters and Sikorsky FCOMs and a panel discussion. Bell also committed to a Bell 525 FCOM at Entry Into Service. Bristow’s Steve Predmore introduced a session on Information Sharing. 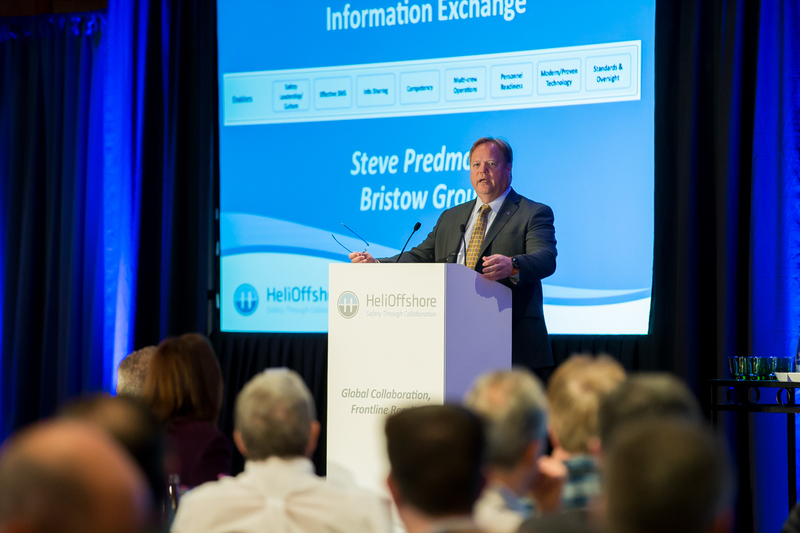 HeliOffshore Information sharing is a voluntary activity, designed to supplement existing formal reporting mechanisms by allowing timely sharing of experiences. Pedmore described the group’s approach to a protocol for information sharing to provide the appropriate level of protection. 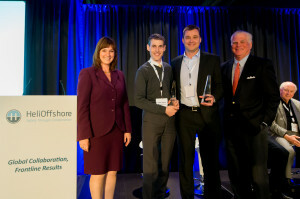 HeliOffshore is expecting bids back this month on a Request for Proposals on a dedicated data sharing system. 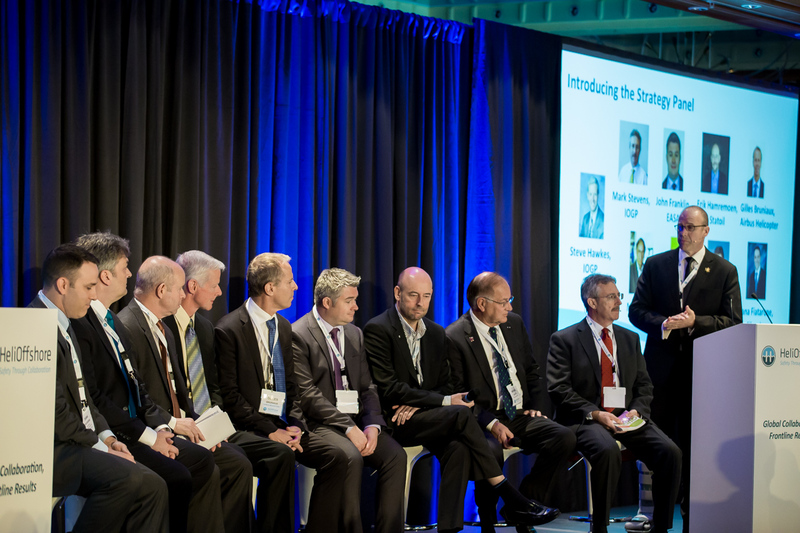 Nigel Talbot of Leonardo’s Helicopter Division lead a panel discussion on the concept with panel members from P&WC, BP, CHC and PHI. 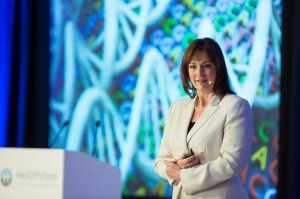 GE also presented on ‘big data’ and the ‘Internet of Things’. 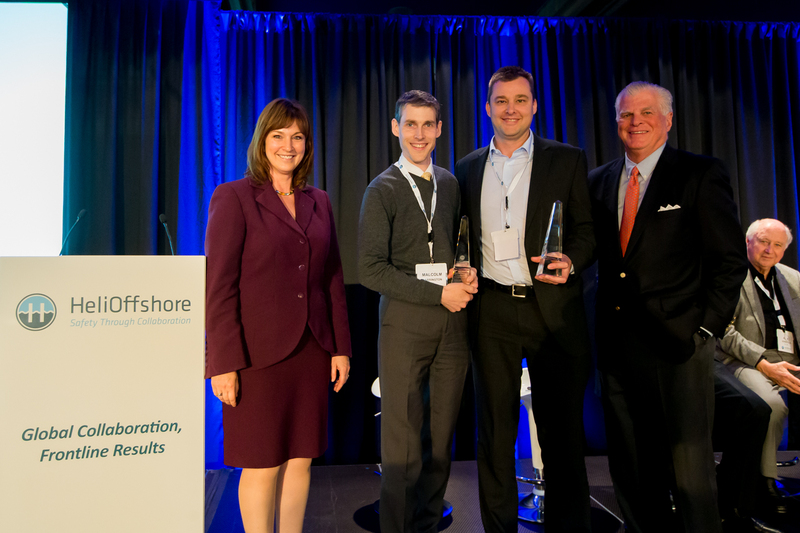 For an organisation only formed in October 2014, HeliOffshore has made significant progress building an alliance, delivering research, best practice documentation and a means to share offshore helicopter safety data globally. The agreement of the safety performance model and a common safety strategy. 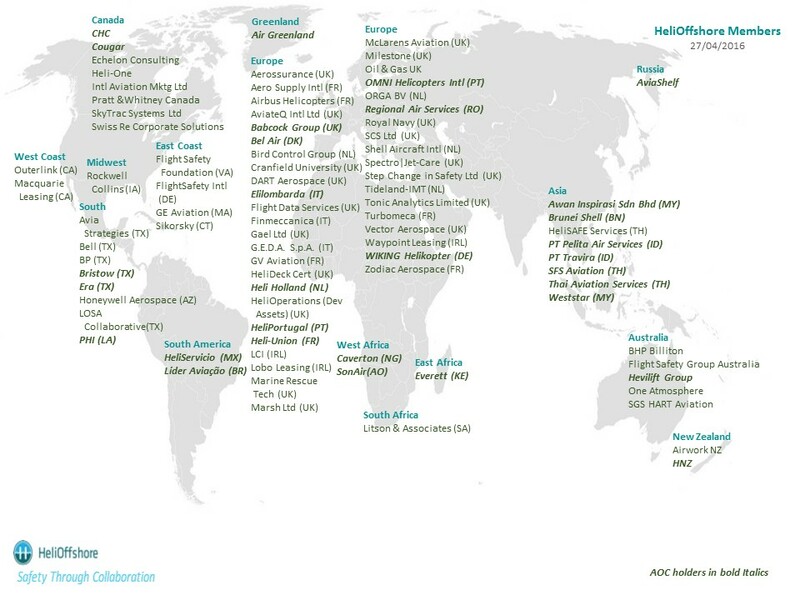 At the 2017 conference it will be particularly interesting to see if more oil companies have joined the alliance (although 7 IOGP members attended the conference, as of today only BHP Billiton, BP and Shell have actually joined HeliOffshore). UPDATE 1 August 2016: Audio of two 26 July 2016 ‘all member’ calls are available. We look forward to a fruitful collaboration with the global offshore helicopter community; one that is determined to continuously improve safety. UPDATE 24 September 2016: The UK CAA has issued CAP1386, their second update on CAP1145. We have summarised that report. UPDATE 9 January 2017: HeliOffshore have released a HeliOffshore Automation Guidance document and six videos to demonstrate the offshore helicopter industry’s recommended practice for the use of automation.